Is this seriously not one of the cutest things you’ve seen all week? I don’t care if it’s only Tuesday, this is adorable – especially with that tulle bow. Goodness! This free baby knitting e-pattern was first published in Easy Turtleback Jackets and was designed by Frances Hughes. 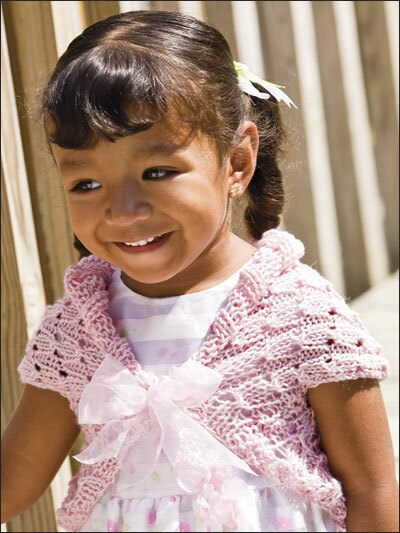 It’s a beginner pattern, and the available sizing is from newborn through 24 months. You’ll need to register for free at Free Knitting Patterns.com to download. How perfect would this be for a baby’s or a little girl’s Easter outfit?